South Canterbury is perfectly placed for your next event. If you are organising an event or conference of any kind in South Canterbury, the following Business Partners can assist with a wide variety of venues to suit most occasions, size and location. Many offer customised packages to suit individual needs. Please also refer to the Event Planning Hub for all your event planning needs. 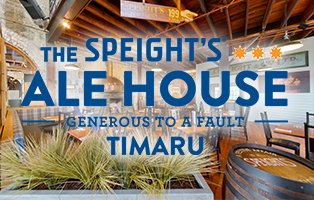 Sopheze Coffee Lounge & Catering has become legendary in Timaru and beyond. The Oxford - Restaurant Bar & Brasserie located in a Historic Places Trust listed building in the heart of Timaru, inspires the brand, décor and grace of this restaurant and venue of simple class, uncomplicated elegance and pure enjoyment. The Grosvenor has a penchant for authentic and unique design. Although we have been called a boutique hotel and a hip hotel, we’re not sure what that really means. We’re a little modern, and a little bohemian.